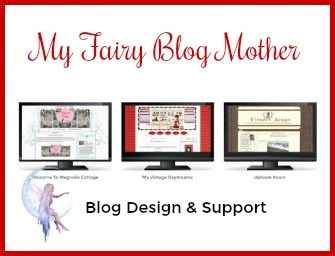 I've been missing from my blog for far too long. 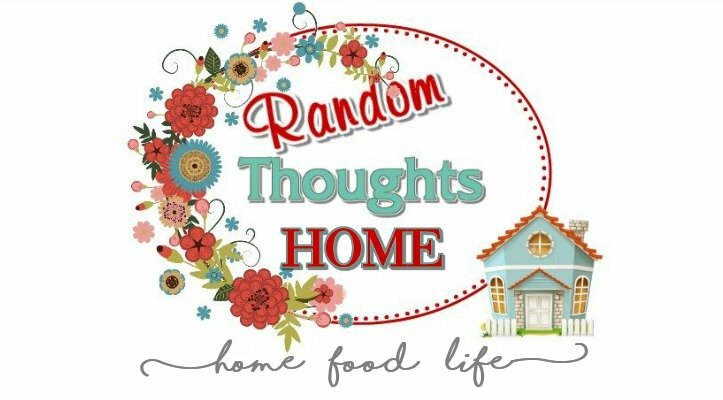 I'm having a great time taking in all the home tours! I've actually been decorated since early November. so I did it all before we left. Not that I haven't tweaked things here & there since we got back! I'm beginning the tour in the living room, with the mantel. 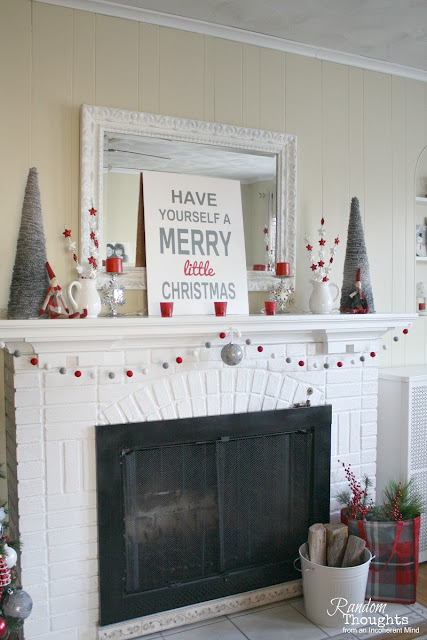 The idea for this mantel started back in September. I fell in love with them & immediately ordered a set. the red & gray Christmas color scheme was born! that I thought would work with my new pixie friends. I made the Christmas trees. then wrapped it with a variegated gray yarn. Their names are Sidsel & Silvester. 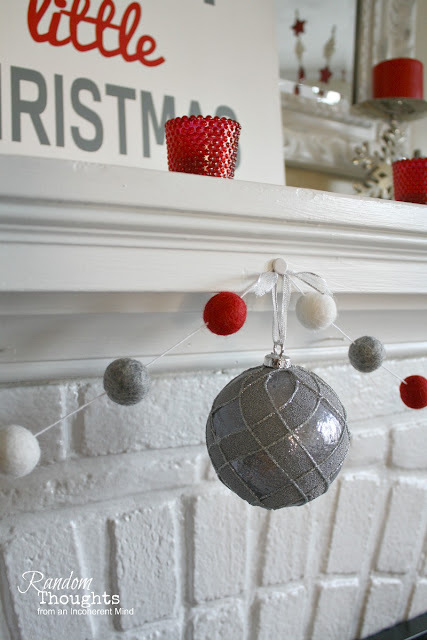 I love the wool ball garland that I found on Etsy. I knew I had to use it for my Christmas decorating. What are the odds it would be red & gray plaid? Are you all decorated for the big day? I'll be back to share more of my decor. Gina, your mantel is adorable! The pixies are so perfect and I love the colors and patterns you've used. I love your mantel!! Of course the white pitchers are favs of mine and I love the grey and red combo! That plaid bag is the perfect item by the fireplace....knocked it out of the park on this one Gina. and I think I see a wee bit of red and grey on the corner of your Christmas tree! can't wait to see the rest. Always fun to visit you, Gina, whenever you pop up in my feed. Glad to hear that you are well and enjoying the season! Perfect mantle. Love the colors!! Lovely as usual. But just throw anything because your home is so full of light and magic that everything blends and shine. Happy. Be Happy. And thank you for sharing your Happy with us. I have been gone way too long as well. Not sure my stuff was exciting though, hah. But we did sell our home and moved 2 weeks ago. Since the offer it has been non-stop. Oh I had surgery a couple weeks before the move on my right hand. I have loved those Mailegs for some time. I got a mouse this summer. But after seeing all of Carol's I went to Ebay. I was the high bidder and actually only bidder for one. I don't understand how I got it for only $27 when another one went for $130. Could it be that mine is four feet tall. Heck, I will take it. He can have his own bedroom in our new home. 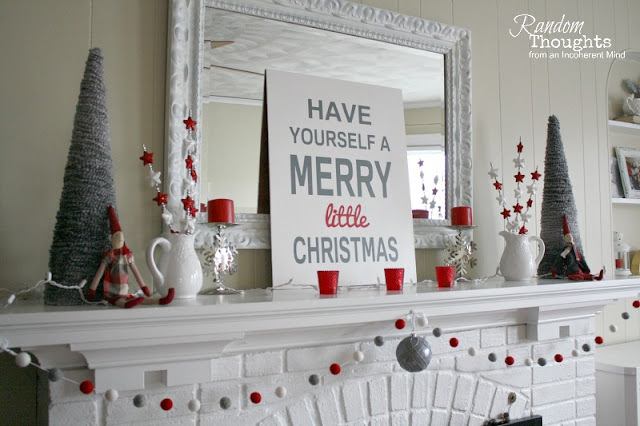 Your mantel looks so festive, Gina! Love the red and gray combination. 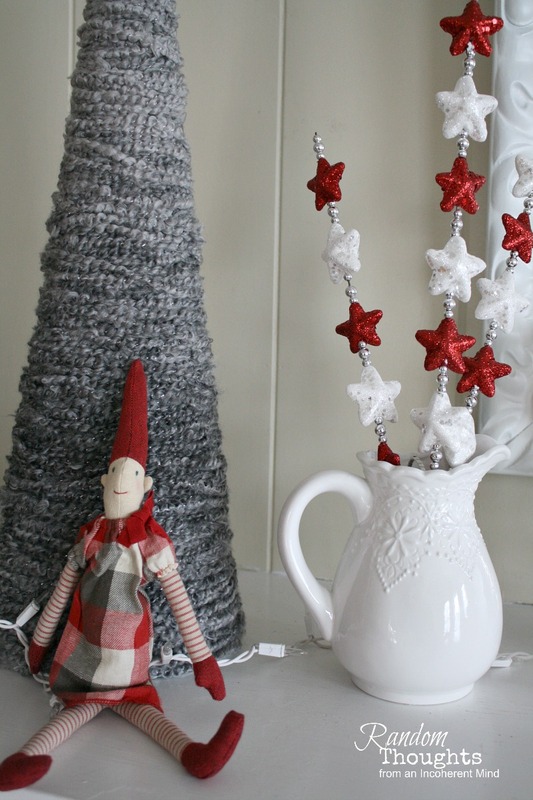 The pixies are adorable, Gina, and certainly set the stage for your pretty mantle decor. 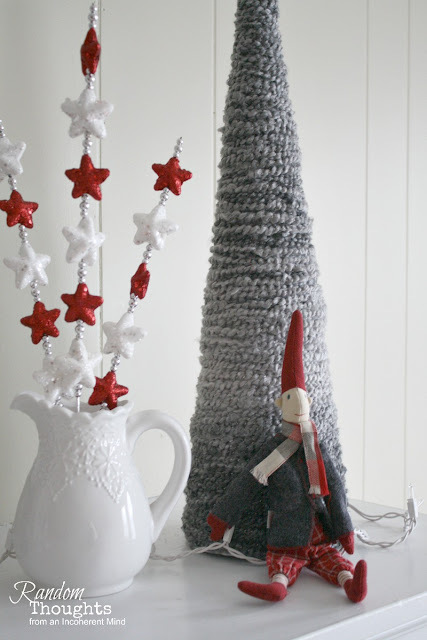 I love the yarn wrapped trees and that bag from Target is so perfect! Hi Gina, such a pretty and fun mantel. The pixies are so cute! Love the colors together. It's amazing how some colors really pop when you put them together. Happy Holidays. You always have the cutest and most cheerful mantel-scapes, Gina! Those pixies are adorable. So cute Gina! Everything compliments each other both with texture and color. Love the cone tree you made! The garland is too cute- makes me smile! Looks great! Love the color choices. The answer to your question is ...Umm no. Your S&S elves are adorable!!! LOVE your yarn Christmas Trees!!! 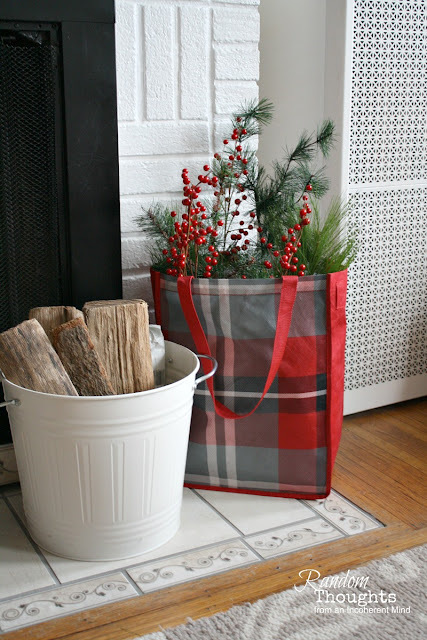 I'm off to Target in the morning in search of a red plaid bag!!! Oh, Gina- cute cute cute! Love your modern and fun-loving take on holiday decor this year. Everything looks festive and adorable! 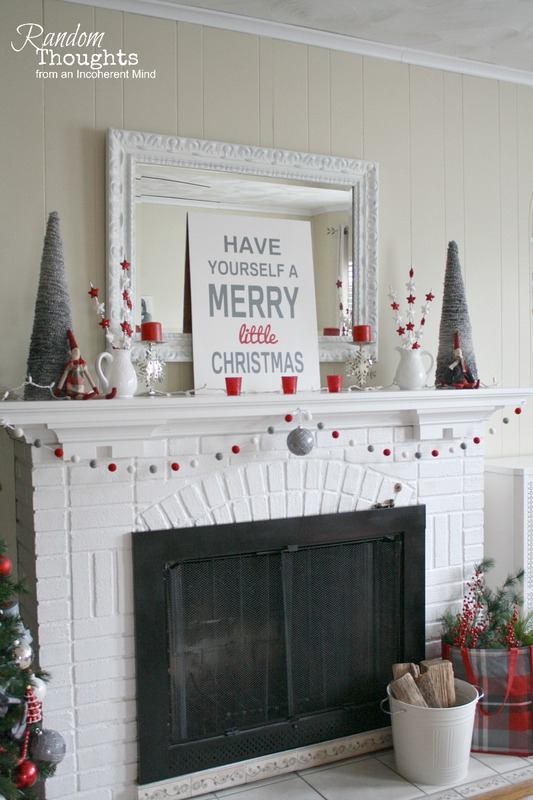 Your Christmas decor is stunning throughout your home. I love the decor in your kitchen best….love the red and white color combo! So many of my favorite bloggers have been using lots of white this year and I love it. Su (Butterfly Bungalow) and Kris (Junk Chic Cottage) have both used white and their homes look pretty like yours!